Copper Moon Coffee is bringing the best in specialty coffee to your community. We source Copper Moon Coffee from small and large coffee farmers throughout the world. Many of our coffees are harvested on lush high mountain hillsides in tropical climates. We only select premium beans that are full of flavor, and best represent the land and climate in which they are grown. We are also proud to offer many Certified Organic and Fair Trade coffees that have been sustainably nurtured by caring farmers. We have invested in state-of-the-art superior roasting and packaging equipment to ensure you always receive a consistent and perfect cup of coffee. Since the early 1900’s the Gutwein’s have owned and operated a family business. Now in our fourth generation as business owners, we made our way into coffee in 2007, and we have been cultivating coffees from around the world ever since. 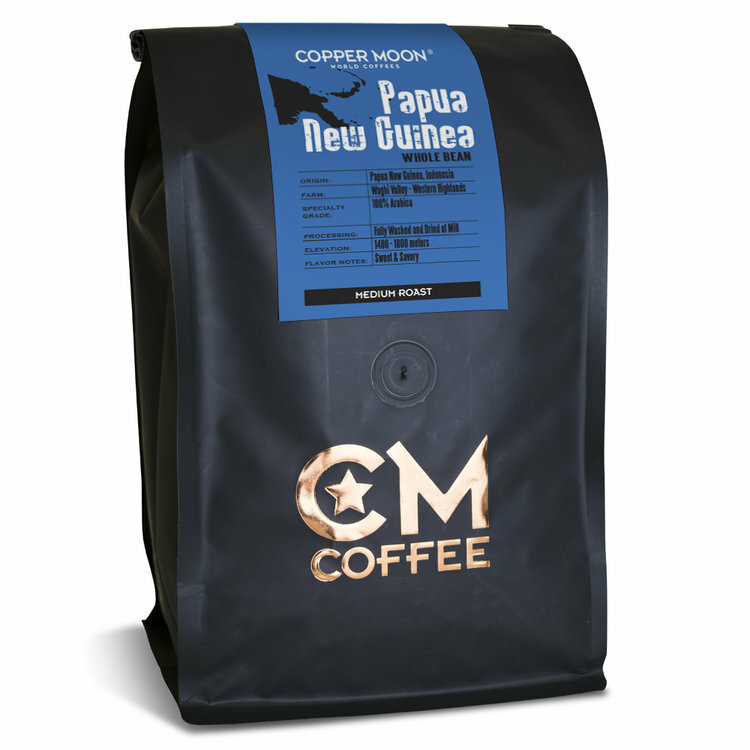 Copper Moon Coffees are blends of 100% Arabica bean coffees from all around the world. Shop for all of your favorite world coffees including Kona, Sumatra, Costa Rican, Kenyan, Rwanda, Ethiopian, Organic, Single Cup, Whole Bean, and Ground.